This herb may be used both internally and externally for a number of ailments helping to heal and strengthen your body. Brewed into a nourishing tea, this common herb is considered by many a must-have in any home remedy collection to quickly treat a cut or a nosebleed. 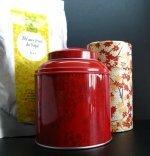 There is so much more to this tea that it is worth your time to learn about its benefits and how to make it. Come and have a sip of horsetail herbal tea! Horsetail, equisetum arvense in Latin, is a common perennial herb that grows in Asia, Europe and North America, mainly in regions with temperate climate. It is considered a weed, but it is greatly valued for the benefits that may be derived from it. This herb is like a grass that can reach a height of 30cm, growing in humid and sandy soils. It has two different types of stems: in the spring, the main hollow stem is erect and looks much like asparagus, whereas in the summer the stem is thin, green and feathery. Horsetail does not have leaves, instead it has extremely thin sterile sheaths or stems that spring out of the main dark green stem, covering the whole plant and each sheath is razor-like ending in a sharp point. Harvesting takes place usually during the summer months, when stems are carefully picked and dried for storage. Why is it called Horsetail? The common name horsetail derives from the obvious fact that the plant looks very much like the coarse hairs of the tail of a horse. Thus it used to be tied to a horse's or other livestock's tail to help ward off flies. Other common names have been given throughout history to this plant, most of which referring to the many uses that were given to it. For example scouring rush or bottlebrush refers to the rough and abrasive nature of the stems allowing to be used as a brush to scrape metal pots or clean the inside of bottles and other tight spaces. You may also find horsetail referred to as shavegrass, snakegrass, pewterwort, paddock pipes, mare's tail, Dutch rushes, pipeweed and toadpipe. Many of these names refer to shape of the herb. Horsetail has long been appreciated as an herbal remedy. Ancient Greeks would use it to treat wounds, while the Romans used it for kidney and bladder problems as well as a remedy for arthritis and tuberculosis. In fact this herbal tea has long been used to help restore lung health and treat respiratory disorders. In the East, Chinese have been treating dysentery, swelling, flu and fevers by resorting to horsetail. Topically, they have used it to treat conjunctivitis and other forms of eye inflammation. In Ayurveda medicine, this herb was especially used to soothe nerves, nourish brain cells and internal and external body tissue. Many cultures still value the medicinal properties of this herb, using it to treat numerous ailments. 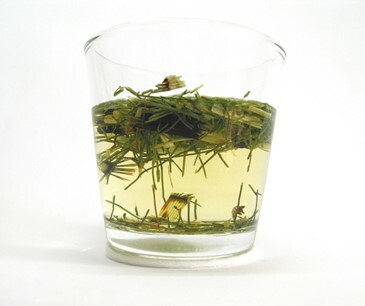 Horsetail is a very nutritive herb making this herbal tea a rich and healthy beverage. The most important elements in this herb are silicon and calcium accounting for some of the main benefits of this tea. It also contains chromium, iron, magnesium, manganese, potassium, phosphorus, selenium, sodium and zinc. Horsetail is rich in vitamins A, B2, B3, B5, C and E, and flavonoids, antioxidants, phytosterols, saponins, tannins, fatty acids and silicic acids. 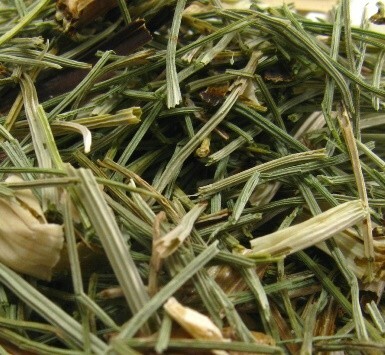 Horsetail is notorious for the great amount of silica in each cup of tea. This makes this herbal infusion helpful when it comes to building up bone strength, helping to fix calcium to the bones and fight osteoporosis. It is often recommended as a treatment for broken bones, helping repair the bone. The amount of calcium and silicon in this herb are also great elements to help repair brittle nails, strengthening them all the while keeping them safe from fungal or any other type of infection. If you have a bad fall and twist something rather than break it, then horsetail tea may still help you as it is said to help heal torn tissues and cartilage. This is particularly helpful in the case of joint injuries as this infusion may help repair and strengthen them, clearing away inflammation. Drinking this tea could help improve tissue repair, regenerating connective tissues and collagen fibers. It may speed up recovery time helping to promote strength and elasticity. One of the great benefits of horsetail tea is that it may clear away urinary and kidney problems. A cup of this tea may help you cleanse your urinary tract and help you deal with infections, inflammation and painful urination. Take this tea when you are suffering from a bladder infection. It boosts your urine flow helping your body get rid of toxins and bacteria flushing the harmful elements out. This tea serves as a diuretic, helping to reduce water retention and bringing down swelling. Horsetail herbal tea may help with situations of bladder weakness, helping both children and adults that are suffering from the occasional nightly bed-wetting. It is said to help soothe the constant urge to urinate and tones the urinary system. This herbal tea is said to be helpful when you need to pass a kidney stone. It is toning; it brings down inflammation and reduces gravel in the urinary tract. It may serve as treatment for diuresis, edema and other disturbances in the kidneys, helping to improve overall urinary function. Men may find this tea helpful as a possible remedy for benign enlarged prostate gland. It helps to bring down swelling and cleanse the prostate. Speak to your doctor about this option as a form of treatment. 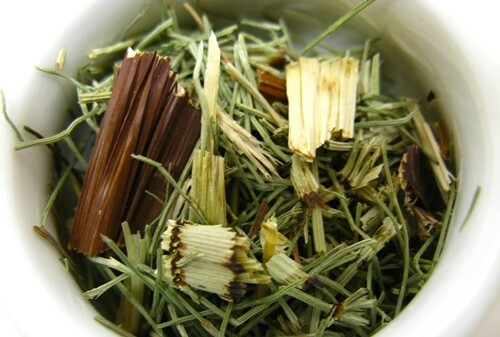 When you have a bad cold, bronchitis or even tuberculosis, consider drinking horsetail tea. This herbal infusion may help you fight these afflictions, but also heal and build up the strength of your pulmonary system, boosting your defenses. This herbal tea may help to heal weakened lungs, repairing lung tissue and boosting defenses against future ailments. It acts as an expectorant, clearing the passageways of phlegm or harmful toxins that are causing disease. You may also gargle with a warm cup of horsetail tea to help treat and soothe a sore throat. Drinking this tea may bring relief to a nasty cough that could be causing throat irritation. 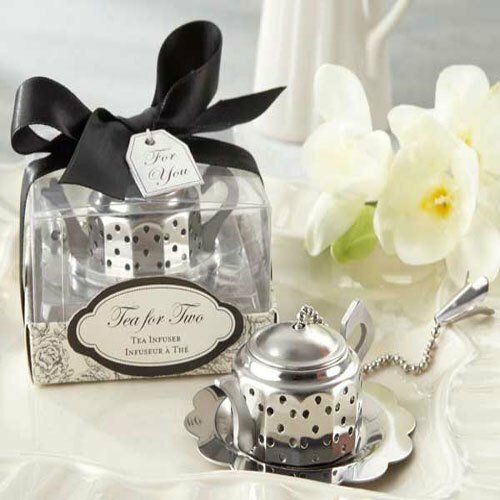 This tea may help calm and soothe other respiratory problems such as asthma. Taking horsetail is said to help strengthen blood vessels, reducing the risk of hemorrhaging. This tea is able then to stimulate blood flow while at the same time it may help restore health to varicose veins. High amounts of calcium in this tea to prevent fatty deposits from building up in blood vessels. Horsetail tea stimulates blood clotting, helping to control internal and external bleeding. It may be used in such cases as bleeding noses, bleeding gums and even bleeding ulcers. This tea is rich in nutrients and helps purify the blood, helping to bring nourishment through the circulatory system, helping to treat anemia and general debility. Horsetail tea is fine herbal tea that women may use to find relief during menstruation and then, later on in life, with the unbalancing symptoms of menopause. Taking horsetail tea may help also prevent excessive menstrual bleeding, reducing the discomfort during this stage. Due to elevated amount of calcium in this tea, it is said to help regulate menstruation as well as bring relief when you suffer from painful cramps. Its diuretic action may also come to your aid if you have a tendency to bloat during your menstrual cycle. The calcium present in horsetail tea may also be helpful when a woman reaches menopause, as it not only helps to prevent osteoporosis and bone problems, but also tone down other symptoms such as hot flashes. Its iron content will help you fight fatigue and stress. A cup of horsetail tea may be taken when you are suffering from stomachaches caused by excessive acidity in the stomach. This infusion is also said to help treat inflammations and heal bleeding stomach ulcers. Some digestive disorders may be caused my poor mouth health. Infection in the mouth could cause bacteria to travel down the digestive tract and give you a world of other problems. So if you are suffering from mouth sores or other oral infections, gargle with a nice cup of horsetail tea. 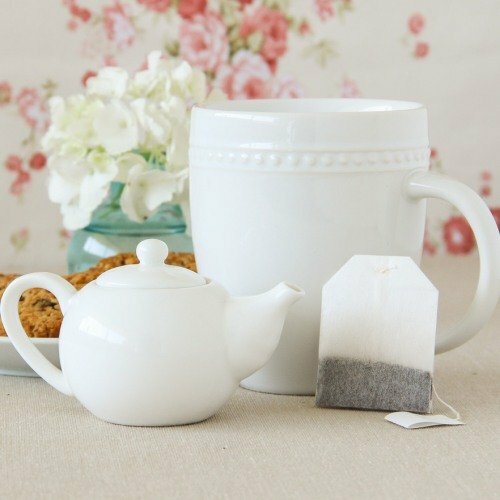 This tea may help with weight loss. By helping improve your digestive process, this tea helps your body to get rid of unwanted wastes. At the same time, this tea is said to help to block the buildup of fat in blood vessels and tissues. Horsetail tea contains a high amount of calcium, which may help you in the various ways you have seen above, but calcium is also a great mineral responsible for soothing and calming nerves. Drink a cup of this tea and let it help restore health to your nervous system, perhaps reducing bouts of irritability, hyperactivity and even insomnia. It may not only help to calm the brain, but also relax muscles, relieving muscle cramps and spasms. Although further studies may still be required, there is some evidence to suggest that this herbal tea could help improve memory and enhance your cognitive function. At least, if you are calm you are more likely to be able to concentrate better. This herbal tea may be applied topically to help deal with a variety of issues. Carefully applying the infusion to your skin is a great way to clean, soothe and heal damaged tissue. You may find it helpful when suffering from the pain of rheumatoid arthritis. Rich in silica, horsetail tea may speed healing of a wound, cut or burn, repairing skin tissue, easing the scarring process. This may be really helpful for wounds that don't seem to heal well, helping to stop bleeding acting as a coagulating agent. Gently apply this tea to your hair as a rinse and let it restore health into each strand of hair, promoting growth, moisturizing and reducing split ends. It also helps to treat the scalp, removing dandruff and reducing irritation. Applied gently over the eyes, this infusion may help reduce swelling in eyelids, clear away eye infections, including conjunctivitis. It is said to make your skin healthy and strong. A compress with horsetail tea may help to soothe and treat certain skin diseases such as ulcers and eczema. This is also a great tea to help repair damage hair, strengthening it and repairing split ends. Try a cup of horsetail herbal tea now! Horsetail is an herb that has long been used as a traditional remedy, but although it has many benefits, further testing is still required and some precaution is needed when you take this tea. Limit your intake of this tea to a short period, as usage over time could cause your kidneys to get irritated. Due to its diuretic action, taking this tea could cause potassium levels to drop at a faster rate than you are ingesting this element. This could lead to muscle weakness and may cause arrhythmia. Make sure to have your potassium levels tested and adjust your diet accordingly. Taking too much of this tea, or for a long period of time, could cause a deficiency of vitamin B1 (thiamin). You may need to find additional sources for this vitamin as you may experience loss of strength and coordination. This could happen also if you are drinking alcohol while taking this tea. Although one of the great benefits of horsetail tea is its ability to treat wounds and external lesions, make sure to test on a small area of your skin to see if you are not allergic to this herb. If you start experiencing skin irritation or rash, stop using this it and seek an alternative solution. 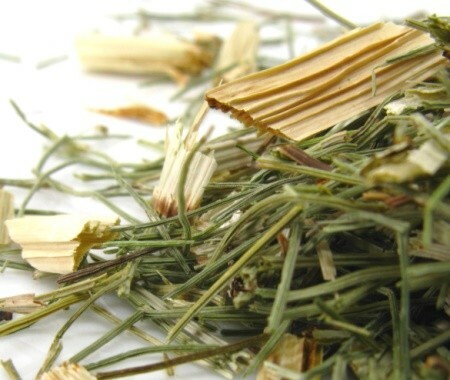 One of the elements present in horsetail is nicotine, so taking this tea in greater amounts than those recommended could result in symptoms resembling toxicity, such as nausea, muscle weakness, fever and even irregular heartbeat. The same applies if you are taking lithium, as horsetail tea could affect the way your body eliminates lithium. Talk to your doctor and work together to monitor your progress. If you are pregnant, it also best to find an alternative solution. 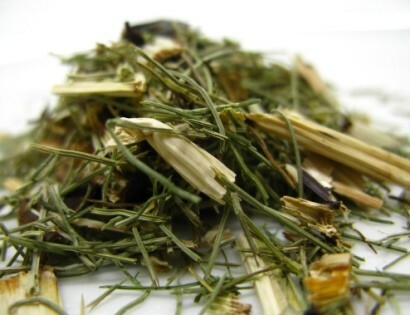 Horsetail tea contains small amounts of nicotine which are not recommended during this stage. This tea is also not recommended for young children. The traces of nicotine found in this tea make it unsuitable for children or small infants. For the same reason, do not take this tea while breastfeeding as it may also make your milk less flavorful for your baby. If you have a history of kidney problems (kidney stones or kidney failure) or diabetes, then you should not take this herbal tea, as it may alter your blood sugar levels drastically. Talk to your doctor about other possible treatments. A history of heart problems and high blood pressure makes for a bad combination with horsetail tea. Not only may this tea cause arrhythmia, but it may also seriously interfere with your medication. If you are prone to thiamin (vitamin B1) deficiency then you should not take this tea, as it may cause additional depletion especially if you like to drink alcoholic beverages. If you are taking prescription medication, make sure to talk to your doctor before taking this herbal tea medicinally. It may inadvertently enhance the effects of the medication and cause more harm than good. Horsetail contains small amounts of nicotine. These may be enough to cause harm to you if you are using nicotine patches or gum to help you quit smoking. If you are taking other diuretics, it is best to avoid horsetail tea as it may result if dehydration or low potassium levels. This could be quite harmful, causing as first symptoms, muscle aches weakness and chronic fatigue. 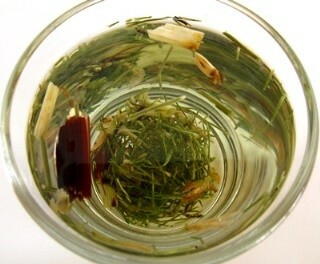 Following a few simple instructions you will see how easy it is to learn how to make horsetail tea. When making a horsetail infusion you use the above ground parts of the plant, usually the dried and barren stems that appear in the summer months. There are many different ways of making this herbal tea; this is just one of the many common suggestions. Begin by boiling water in a kettle. Place 2 to 3 teaspoons of horsetail per cup of water (approx. 250ml) in an empty teapot. Once the water is boiling, pour it onto the herb and let it steep for about 5 to 10 minutes. Strain your tea and sweeten it with honey. This is particularly useful if you are drinking this tea to clear away respiratory problems. Drink up to 3 cups a day and do not take this tea for a long period of time. Unless otherwise indicated, drink this tea for one week and then take a break of a few days before resuming it, so as to give your body a chance of healing. Let your horsetail tea cool down and then use it as a rinse or blend it into a delicate or baby shampoo to apply to your scalp. Add this infusion to a hot bath and then just relax and let the benefits soak in. This bath may help relieve painful rheumatism or gout. If you are looking for herbs to blend with horsetail you may try blending with dandelion, it is also a diuretic tea rich in potassium. Horsetail and nettle herbal tea is also a great combination to improve bone strength. Buy Your Horsetail Tea Today! Click on the image or on the link below to purchase from Starwest Botanicals your Shavegrass/Horsetail Tea. 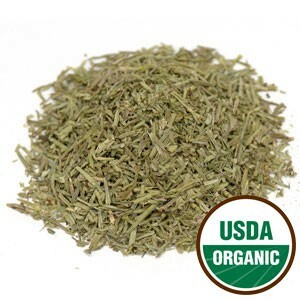 Use this organic horsetail herb or powder to make a cup of hot tea. Drink this repairing tea to build your strength and improve your health. Buy your horsetail tea here! Horsetail tea is a nutritious herbal remedy that you will want to have at home for any emergency.